The year was 1971 when McAfee Trucking Company opened it's doors. Bob McAfee owner of McAfee Trucking Company started with a single truck and a small number of customers. Over 45 years later McAfee Trucking still serves some of those original customers in addition to a wide range of customers nationwide. 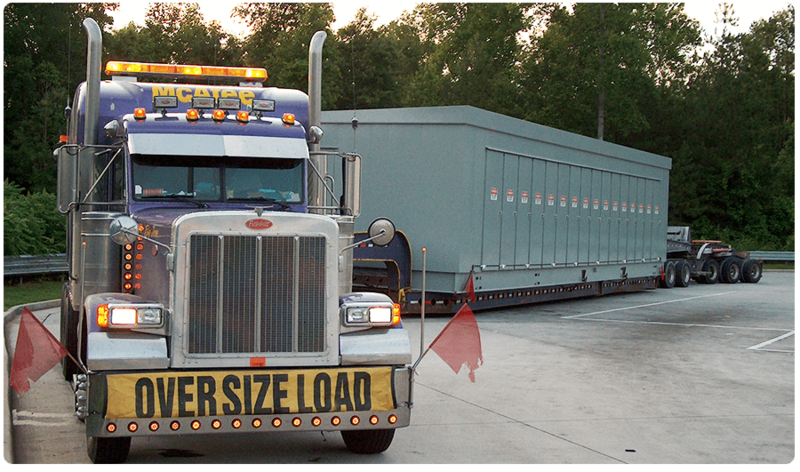 Oversize load shipments refer to large item shipments like oversized tanks, jet engines, steel trusses, and generators that exceed the maximum size of traditional load shipments on public roads and highways. Due to special permit requirements, route planning complications and safety concerns traditional shipping companies work with companies like McAfee Trucking to handle Oversized and Supersized loads. With over 45 years of experience in the trucking industry McAfee Trucking Company will deliver your load safely, securely and without incident.